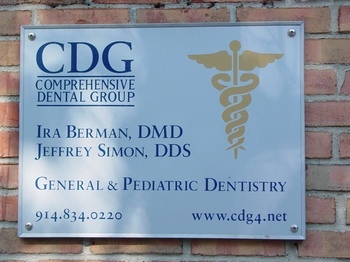 At Comprehensive Dental Group, our team of highly qualified and specialized dental practitioners offer general, cosmetic, pediatric , periodontal, implant and endodontic (root canal) dental services in Larchmont, New York. With five dentists on staff: general dentists, Dr. Ira Berman and Dr.Warren Kwag, pediatric dentist Dr. Jeffrey Simon an endodontist, Dr. Joshua Chubak and a periodontist, Dr. Joseph Aronoff - our practice offers high-quality comprehensive care for patients of all ages. Our patients often comment on the style and comfort of our modern office. It is our mission to provide a relaxing atmosphere to all patients as we build trusting relationships to restore and maintain optimal oral health. 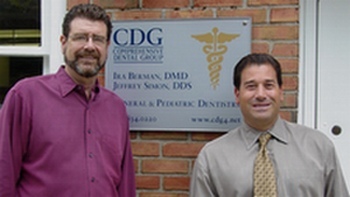 Comprehensive Dental Group provides a vast range of dental techniques and methods which will treat the dental condition itself and not just remedy the tooth. Using prevention methods such as fluorides, sealants, and nutrition and oral hygiene education, we strive to prevent or limit dental caries. Routine professional cleanings help us maintain oral health by limiting the amount of tartar and plaque buildup. Therefore treatment plans will require only minimally invasive procedures to treat the dentition. Should patients have questions or concerns regarding their treatment plan, our team of dental specialists are on hand to provide additional information and care options. Dental Implants - We use industry-leading Zimmer , Nobel and Straumann brands implants placed by our periodontist, Dr. Aronoff to replace missing teeth. Implant dentistry provides the most long-term benefit available in dentistry today and will support single crowns, bridges, and partial and full dentures. Orthodontics –We use the ClearCorrect aligner system for teens and adults to give them a more cosmetic approach to correct their bite. The aligners are custom-made trays that straighten teeth over time and are an alternative to metal braces. We also offer traditional braces, both metal and tooth-colored brackets and will create functional appliances as needed to straighten your teeth and improve your bite. One Visit Crowns and Veneers - We use metal free E4D crowns and veneers to patients with qualifying dentition. This convenient method allows patients to receive a new tooth and a reinvigorated smile in a single dental visit. Depending on the situation, we may send crowns and veneers a high-end laboratory to create the best possible result. Periodontal Disease - Our experienced hygienists provide deep cleanings to eradicate gum disease and prevent the reoccurrence with maintenance cleanings. These preventive cleanings occur three to four times a year, depending on how extensively the soft tissue was initially damaged. Advanced periodontal cases are referred to our in-house periodontist who specializes in soft tissue health and can provide bone and gum grafts as needed. Restoring your oral health after gum disease has settled in is an important factor to restoring the long-term health of your dentition and overall physical health. In addition to our quality of care we provide, we also pride ourselves on the efficiency and organization of our Larchmont dental practice. We utilize a system called Lighthouse360 that provides our patients with regular reminders of their upcoming appointments. We make every effort to schedule your appointment as early as possible and we’ll also do all we can do to immediately address any dental emergencies our patients encounter. We encourage you to contact our dental office at 914-834-0220 with any questions you may have about our practice or procedures. 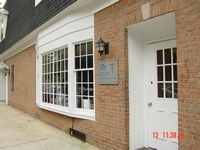 Schedule your appointment with us in Larchmont, today! Follow, Tweet, Review, and Like Us Today!